Tighten up your suspension and handling by stiffening the chassis. Replace worn rubber bushes with new poly bushes, and you will be amazed at how much more positive and confident your car feels in the corners. 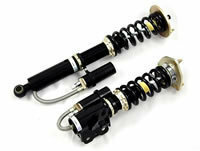 With less movement of the suspension components, the car will feel like a new car!